Ina Knoth is a postdoctoral lecturer at Hamburg University working on a book project on music listening in England, c. 1670–1750. She studied musicology in Weimar, as well as English literature and economics in Jena. As a recipient of a Georg Christoph Lichtenberg scholarship she finished her dissertation on Paul Hindemith’s ‘Harmonie der Welt’ in Oldenburg in 2014. She has published on Hindemith, English music culture around 1700, as well as on the history and sociology of German musicology. ‘I believe, dear madam, you will be tired of my account of music, which does not describe so well as it sounds.’ 2 These words by Mary Pendarves (later Delany), 3 addressed to her mother in 1735, point to a familiar problem when dealing with testimonies of music listening: how is it possible to transform aural impressions into language? At the same time, written accounts are succinct summaries of sensual experiences and therefore a central source for music listening history, as the Listening Experience Database (LED) project justly points out. However, these testimonies need to be ‘decoded’. While it is obvious that any such account has to be evaluated based on its ideological premises and the type of writing (private letter, official report, personal diary, and so on), descriptions of music listening experiences in British diaries and letters from the first half of the eighteenth century present a further and severe challenge: namely, their brevity. Often, these descriptions are restricted to the date of the event, names of performers and composers and a succinct judgement such as ‘very good’, ‘charming’ or ‘poorly performed’. At first sight they seem to be formulaic and can be discouraging to work with in order to uncover modes of listening or even listening experiences. 4 In my chapter, I will propose a method for reading them as worthwhile sources for a cultural history of music listening in Britain in the eighteenth century. Tracing the three practices named in my title – namely musicking, conversing and writing – I will point out interrelations between the focus of sensual attention during listening situations and the written word of personal accounts in diaries and letters. Music listening has gained a lot of attention in historical studies over the last decades. It has become common to treat ‘music listening’ as a general term not only focusing on strictly physiological listening, but also on the perception of, for instance, musical performances in their multisensory dimension. 5 Furthermore, music listening has become understood as a practice highly defined by its social context. 6 Taking this general definition of music listening as my starting point, I will focus on the interplay of the senses during listening processes, as described or at least hinted at in personal accounts. As Lawrence Sterne has pointed out, however, this does not negate the importance of the audible within Modernity but rather that it led to its disregard in scholarly work. 11 To address this problem, the definition of ‘knowledge’ has been notably elevated from its former scholarly restriction to intellectual knowledge. In cultural studies, definitions of ‘knowledge’ include all imaginable ways of how to do or understand things – through all senses. 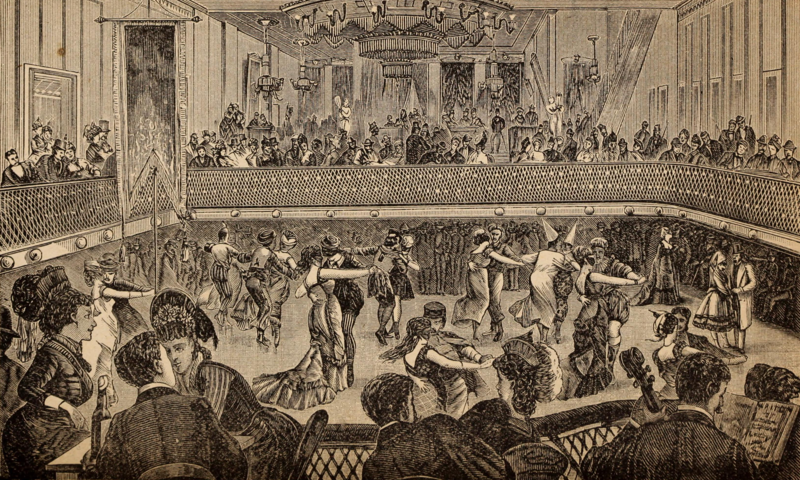 In this context, different scholars have pointed out how aural knowledge, defined as knowledge of how to listen to music, 12 is practised – as for instance in the way in which the beau monde of the eighteenth century listened to music sufficiently frequently to develop a routine – but largely remains inarticulate and can therefore be regarded as a form of tacit knowledge. 13 Furthermore, some methods have been developed to study these forms of tacit knowledge and make them explicit to a certain extent. For example, Richard Sennett, among others, underlines the importance of the body for all kinds of tacit learning and skills. 14 Accordingly, tacit knowledge even though it is inarticulate can become traceable by paying close attention to social practices. While paying attention to social practices in the field of music listening is not a novelty, the level at which the body and its tacit knowledge are acknowledged needs to be intensified. The crucial co-operation between the senses and the social situation has recently been underlined by Andreas Reckwitz. According to him, the body not only harbours the senses and the tacit knowledge of how to regulate their perception, but also the social knowledge of how to use them in specific social constellations. This has its silent effect on the perception itself or, coincidentally, the experience. 15 If we want to learn more about music listening experiences, therefore, all practices which taught the body how to handle a specific music listening situation as rendered in historical sources need to be taken into account carefully. On the most basic level, listening to music and making music are not necessarily separate things but are often practised at the same time by the same person. Patterns of experience of practising music repetitiously while simultaneously listening to the outcome influence each other as they both feed into the ‘tacit musicking knowledge’. Accordingly, even if in a specific situation listeners might not play they will still use the tacit knowledge of how to listen to music which they gained while practising music. More specifically, as they have learned listening to a specific kind of music by playing it they are likely to handle and experience the same kind of music in a very similar way to the way in which they became accustomed by practising. This may comprise various combinations of sensual focus: for example, tactile stimuli with regard to a certain instrument, heightened attention to pitch and other musical aspects repeatedly worked on, a visual image of how one should look while playing, the idea of a social setting appropriate to a specific kind of music, and so on. If listening while practising is the dominant way in which the listeners learned to listen to music in general, when first confronted with unknown music, they are likely to try to handle it in the same way, that is, with the same kind of interplay of the senses while listening – but probably with certain moments of irritation. To get a better grasp of why and how music might be mentioned at all in letters and diaries it is noteworthy that the personal accounts of music listening still available from the first half of the eighteenth century predominantly stem from the better-off classes for which music listening has to be regarded as a part of their everyday experiences. 21 This included both visiting entertainments with musical components as well as education which, especially for women, regularly comprised singing, harpsichord practice and dancing. 22 Furthermore, common social gatherings with music – such as communal singing of songs and ballads, or psalms at church – were regular occasions for music practice. However, the dominance of a certain sense does not only determine the focus of any description, but it also influences the way in which aspects perceived by different senses are described. Granting for now that visible objects often dominated descriptions of entertainments (even though the interplay of the senses during the experience involved more senses than only sight), even the wording of musical aspects in an account can be linked to the qualities of different senses. I will attempt to explain this crucial point by comparing how descriptions of musical aspects can be linked to the qualities – or ‘logic’ – of the two prominent senses, in this case, sound and sight. First, I will try to outline characteristics of descriptions which follow the logic of aural perception in their wording: according to the ability of the ear to receive stimuli from all directions at once, accounts rooted in this kind of description logic are likely to render more general notions of phenomena that pass away swiftly – such as music. Aural perception is unlikely to recur precisely, a common experience of anyone practising an instrument. Listening trained by personal practice of music will expect variety with regard to repetition of the same musical work as well as music of the same style. 25 At the very least, accounts following ‘aural perception logic’ in their wording will not describe music as if it were a fixed object. Sight, on the other hand, perceives its objects as comparatively fixed objects, mostly concentrating on a specific aspect of it. Vision is predominantly fixed on objects which change much more slowly than sound. Therefore, these objects do not need to be recreated to be re-experienced. This is a fundamental difference from anything experienced by hearing which ceases the moment it is heard and needs repetition in the form of re-creation to be re-experienced. Therefore, accounts of musical performances which describe aspects of sound as if they were fixed and not prone to variety follow ‘visual perception logic’ – and also point to a noticeably different quality of music experience. This last point is best proven by way of a specific example. To illustrate both wordings of accounts following ‘aural perception logic’ and ‘visual perception logic’, as well as comparing them, I will examine accounts of two examples of musical entertainment in England in the first half of the eighteenth century which share quite a range of similarities: they were listened to by more or less the same audience and they both offered the possibility for the perceiver to either focus on musical, textual, decorative, spatial or performative aspects: namely, ballad opera and Italian opera. John Gay’s Beggar’s Opera had a massive public reception. It had a run of 62 performances in its first season in Lincoln’s Inn Fields Theatre in 1728. It was soon played in different cities and towns all over Britain and stayed in the repertoire of London’s theatres until the end of the century. 26 Shortly before it was first staged, Alexander Pope predicted in a letter to Jonathan Swift, ‘whether it succeeds or not, it will make a great noise, but whether of Claps or Hisses I know not.’ 27 The noise it made, however, was not restricted to the immediate reaction of the audience as Pope suggests. Descriptions in diaries and letters point to different aspects of practical rather than intellectual reflection on the sensual experience. Following the logic of the hearing sense, the same event could never be reproduced exactly, but variations of all kinds were inevitable – and acceptable – when this familiar experience was repeated. This listening practice was new in its extent with respect to the Beggar’s Opera, but it wasn’t new as a (prolonged) listening practice. On the contrary, as is well known the music of the Beggar’s Opera was mostly arranged from ballad tunes as collected and published in collections such as Thomas D’Urfey’s Pills to Purge Melancholy (1719–20) and Playford’s Dancing Master (various editions 1751–c. 1728). 30 Accordingly, the ballad opera was designed and probably also listened to in a similar way to the tradition of public as well as private ballad singing which was not just a lower class practice, but probably the biggest musical mass phenomenon of its time. 31 Singing various texts to the same tune was not only common but a main part of the associative fun any new text for an old tune created – even though the spirit of these different texts was adjusted to the tune. 32 The music in its combination needed to be open to variation and was highly transferrable as to the singer’s qualities, instrumentation, place of performance and textual choice. These qualities of variation and their close connection to (semi-)oral cultures can most easily be linked to the qualities of the hearing sense. Savile not only joined in this general aural variation already known from ballad singing but incorporated her remembrance of the Beggar’s Opera in her solitary as well as social variants of domestic music (and reading). Therefore, stimuli of the sense of vision (as, for instance, the importance of a certain spatial setting would suggest) or a specified sense of touch (as, for instance, a close connection to a specific instrument would suggest) seem to have been less important to the musical experience than the versatile audible sensation as well as a general corporal involvement variably related to singing or playing the harpsichord. Pendarves’ challenges to spread the music by encouraging others as well as repeating it herself in social circles underline how the variation of musical realisations was a part of a prolonged, positive experience. Her mischievous remark to her sister to at least spare the church from a performance of the Beggar’s Opera points to the influence polite manners had on musical descriptions of this kind of music – manners might be mentioned but were disregarded as to the personal practice since the experience obviously was too entertaining and widespread to be suppressed by moral considerations. On the contrary, Pendarves insinuates that listening to as well as performing the Beggar’s Opera was in fact part of ‘polite’ music listening. The recollection of the sensual experience of this kind of music as performed on stage while one could ‘only’ listen was nourished by imitating it with one’s own body and friends as the common practice of ballad singing suggests. One listening focus this implies for the listening experience is on the difficulty of the piece, its performative challenges – necessitating a sober evaluation of one’s own capacities to recreate, vary, and reproduce the music heard. This is a sensual stimulation which can potentially also be self-reflective based on one’s musical skills. In summary, the listening experience these descriptions imply is quite immediate as hearing is most prominent in the interplay of senses. The experience is of an interactive nature and strongly provokes necessarily corporeal imitation. The description in accounts is brief. However, the brevity of the description is appropriate to its function which is based on the challenge to action. The intensity of the listening experience is prone to differ with respect to the listener’s own musical skills to imitate and thereby be part of the music heard, the amount of experience already gathered with respect to ballad listening and performing, and with the specific musical performance. The musical accounts I chose as examples for wordings of ‘aural perception logic’ lack one point I formerly identified as specific to written conversational communication: they did not pass judgements on the music but rather conveyed a merry atmosphere about the musical situation in general. Accounts of music listening, including judgements on the music, at times point to a slowly shifting or rather varying quality of descriptions of listening experiences. In the first half of the eighteenth century, this is traceable most easily in accounts of what is often described as the rivalry between, on the one hand, English songs like many of those from the Beggar’s Opera and, on the other hand, Italian opera which was introduced in London in the beginning of the eighteenth century. While dealing with airs from Italian operas the same way as with ballads, by re-musicking them with the help of scores, was possible and probably practised by some – airs from operas were printed just as ballads were – there are accounts which evidence first indications of differences gradually developing between listening to Italian opera as opposed to ballad opera. By way of example, I will turn to one listener who already served as an example for listeners of the Beggar’s Opera, Mary Pendarves. In short, the arguments Pendarves used to criticise the ‘ill-judging multitude’ can be understood as a criticism of their likely way to listen to Italian opera the same way she listens to ballad opera. Since she expected negative judgement with respect to Italian opera from this, Pendarves obviously intended to oppose this mode of listening and suggested a different attitude. The consequence is that she implicitly stylised the composition the way it was first performed as something like a fixed object which would be wronged if recreated in a varied ‘revival’. Furthermore, there isn’t a single notion in her diaries of singing opera songs at home. This places greater emphasis on the performance during the first listening situation (and similarly when it was repeatedly performed in the same season by the same set of singers) as opposed to her discussion of the Beggar’s Opera where the emphasis was on varied imitations of the performance by herself as well as others. This different kind of depiction of the experience is highly influenced by social standards of polite judgements. When discussing the Beggar’s Opera alone, it seemed to suffice to warn her sister not to sing it in church to stay within polite boundaries. When there is a situation of competition between two kinds of music, however, she seemed to have forgotten her joyful listening experiences of the Beggar’s Opera. On the whole, Pendarves seemed to listen to Italian opera differently from the way in which she listened to the Beggar’s Opera. With Italian opera, she was opposed to variation as she was opposed to revivals. Thereby, she remembers the listening experience as a fixed impression of its first staged performance and desired no major variation. She might have only applied this line of argument to account for her partiality to Italian opera within a broader listening practice with other preferences, of course. However, concurring with Reckwitz this must have had an effect on her ‘real’ listening experiences, too. As Italian opera is harder to enjoy in the same way as ballad operas, she adjusted her way of listening when focused on Italian opera music. While Pendarves finds it hard to describe her impressions of the rehearsal, her description obviously is designed following ‘visual perception logic’. The individual performance is nearly left out and Handel’s operas are compared against each other as if they were objects. The only musical aspect she names – the recitative – is just as far away from normal vocal skills as the picture of Handel as a necromancer is from common harpsichord playing. Moreover, Pendarves turns to the subject of the opera to create this image of Handel as a necromancer in accordance with, if not as an enhancement of, the sorcerer Alcina (played and sung by Anna Maria Strada). Thereby, of the different possibilities to reflect the listening experience, she chooses visual imagery to mentally reinforce the distance between her as a listener and the spatially as well as socially rather intimate listening situation at the composer’s home. Her reception therefore is one of distant admiration – which is not characteristic of ‘aural perception logic’, as aural impressions are never distant at the moment of perception. One listening focus this implies is on what seems impossible to recreate, implying fascination with the unattainable. This fascination, however, is only possible if the listener creates an inner distance between the sensual impressions entering the body through the aural sense and instead draws on a more partial mode of perception – such as vision offers. The music is taken in, aurally as otherwise, but the interplay and hierarchy of the senses while listening to this kind of music has clearly been reordered. There are no theoretical reflections on certain types of music listeners by English writers up to the middle of the eighteenth century. 38 Personal accounts from music listeners are unlikely to fill that gap but they grant insight into other dimensions of listening experiences. Even though most of these accounts are very brief, when analysed within their ‘musicking’ context at least two broad modes of listening can be distinguished. They can be characterised by their describing a specific musical experience as something fixed or fleeting and on the way repetition of the experience is implied – by varied imitation or just revisiting as a listener without musical participation. Accounts rooted in ‘aural perception logic’ present an immediate relation to the music while ‘visual perception logic’ rather presents the listener as a bystander. They point to fundamental differences in listening with regard to personal involvement depending on which sense is dominant in the interplay of the senses during listening. The intensity of the listening experience in both cases seems to be defined by the listener’s practical musical skills and their relation to the level of performative difficulty of the music. It is quite significant that Pendarves’ descriptions of listening to the Beggar’s Opera and Handel’s operas differentiated between music which she could easily imitate and music which any humble music lover would have to leave to professional musicians. It is important to emphasise, though, that it doesn’t prove to be a historic shift from the one listening mode to the other. As the example of Mary Pendarves illustrates, the same person would listen to different kinds of music in noticeably divergent ways. Furthermore, even the examples of this chapter cannot be reduced to clear and exclusively aurally or visually characterised modes of music perception. However, they point to aural or visual accentuations in music perception. The two models, therefore, can serve as a point of orientation to differentiate intermediate or mixed modes of listening. Both ‘perception logics’ lead to brief descriptions as they are both testimonies of a cultural knowledge of how to listen to music which has to be regarded as a mostly tacit knowledge. This tacit knowledge can, however, be reconstructed by bearing in mind the musical skills and practices of the listener as well as considering the amount of cultural knowledge which remained unmentioned – either because it was unconscious or because it was a matter of course. There is still a lot to learn from specific case studies in order to gain more insight into the interplay of the senses and their effect on the listening experience in order to develop a differentiated view of music listening in eighteenth-century England. While any listener typology which has been developed, from Adorno’s ‘Hörertypen’ to Simon Frith’s grouping of three basic ways of listening, presumed a listener who is ‘only’ listening, 39 the brevity of accounts from the eighteenth century strongly suggests that we should take more than ‘just’ the moment of listening into consideration. Loenhoff, Jens (ed.). Implizites Wissen. Epistemologische und handlungstheoretische Perspektiven. Weilerswist: Velbrück, 2012. Marsh, Christopher. Music and Society in Early Modern England. Cambridge: Cambridge University Press, 2013. Netzwerk ‘Hör-Wissen im Wandel’ (ed.). Wissensgeschichte des Hörens in der Moderne. Berlin: De Gruyter, 2017. Ong, Walter J. The Presence of the World. Some Prolegomena for Cultural and Religious History. New Haven and London: Yale University Press, 1967. Small, Christopher. Musicking. The Meaning of Performing and Listening. Hanover: University Press of New England, 1998. Reckwitz, Andreas. ‘Sinne und Praktiken. Die sinnliche Organisation des Sozialen’, in Prinz, Sophia and Göbel, Hanna Katharina (eds.). Die Sinnlichkeit des Sozialen. Bielefeld: transcript, 2014.